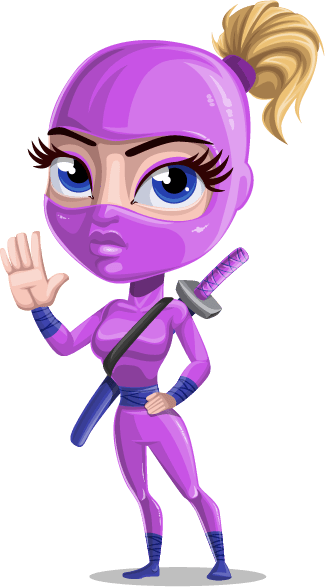 Beautiful vector illustration of an attractive female ninja. She is dressed in ninja costume, wears a sword and makes a “stop” gesture with her arm. Expressive and perfect for illustrating your project ideas.